Pesto is great to keep on hand because it adds massive amounts of flavor to a dish while remaining pretty healthy, and conforming to a Paleolithic way of eating. 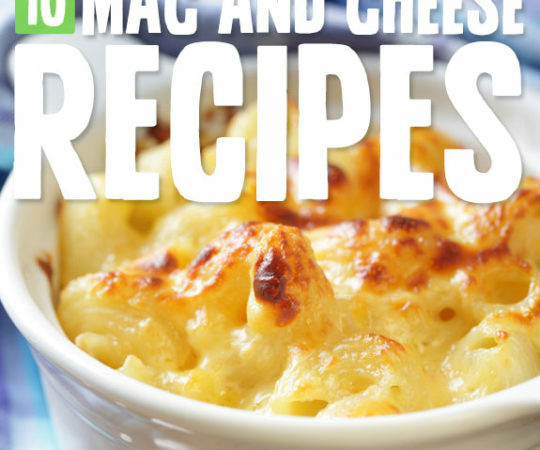 These are easy to make because you just toss everything into the blender and whir it up for a minute until the consistency is just right. This means it can really help you out of a jam in a hurry if you’ve created your meal and found out that it’s a bit dull when it comes to flavor. Pesto to the rescue! 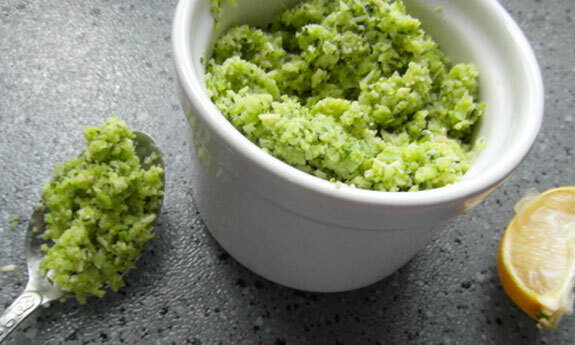 Here’s a pretty classic version of pesto, using basil and the distinctive taste it brings. Basil, pine nuts, garlic, olive oil, and a bit of parmesan cheese if you want. Some Paleo eaters allow parmesan while others say it’s dairy and as such don’t allow it. This pesto recipe is going to taste good no matter whether you use parmesan in it or not, and is labeled as optional. Add this to some zucchini pasta or spaghetti squash “noodles” and you’ll have a perfect side dish to just about any meat entree to make it a Paleo meal. You won’t be making friends with any vampires after you eat this pesto, but if you’re a fan of garlic you’re going to be a fan of this. Using ingredients that were grown in the wild rather than being mass harvested by the food industry is always a good idea. Here they’re using locally sourced ingredients wherever possible, and have taken a few liberties with a traditional pesto recipe. They’re using hazelnuts instead of pine nuts, and apple cider vinegar to give it a sour taste instead of the usual lemon juice. Macadamia nuts have gotten a bad reputation for containing so much fat, but it’s undeserved as the fats it contains can actually benefit you when eaten in moderation. There is one more addition to this that makes it special, spinach, which also adds fiber and phytonutrients to it. The star of the show is the macadamia nuts though, and you’re going to love the buttery taste they add to this. 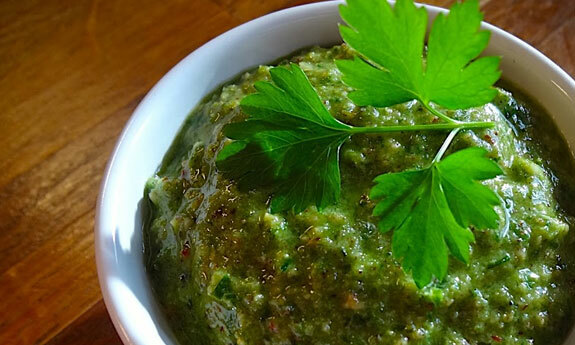 One of the best ways to eat pesto is dipping toasted bread into it, so you may want to bake up a batch of Paleo friendly bread to enjoy this with. Paleo is all about expanding the kinds of foods you eat, rather than restricting it. There are so many foods that are Paleo approved that you may never have purchased, and should now give a try to. Radicchio may be one of them, and this pesto is a good opportunity to try it out and see how you like it. It has a bitter and spicy taste that some don’t care for, and others fall in love with at first bite. Because it’s in pesto form and added to your meal you can simply stop adding it if it doesn’t agree with you, or pile more on if it’s your new favorite thing. 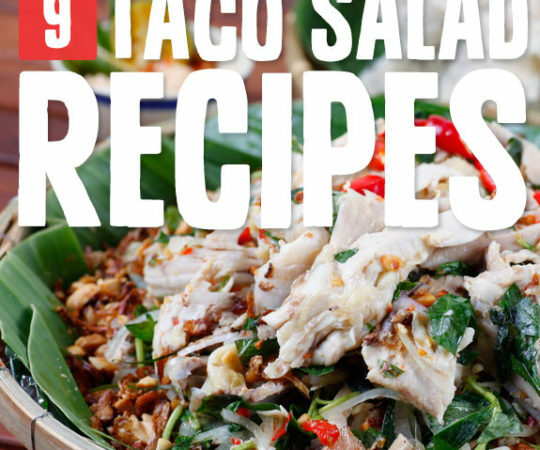 Cilantro is one of those herbs that you either love or hate. If you can’t get enough of it then you may want to make this your new default pesto. Four simple ingredients go into this to pull off a quick and easy pesto that you can be eating in no time. In addition to the cilantro there’s lemon juice, olive oil, and garlic, so they’ve done away with the pine nuts that you’ll see in a classic pesto recipe. They’re using the entire cilantro so you’re going to taste the full flavor of this time-tested herb. It may just give you a new appreciation for cilantro, and could become one of your favorite types of pesto. Spinach adds its special characteristics to this pesto, and they’ve added some additional ingredients to make it taste better and be a real stand out among the others. Pecans are the notable addition to this pesto, and they’ve kept in the basil leaves to make it taste like a traditional pesto, and not so much like spinach. 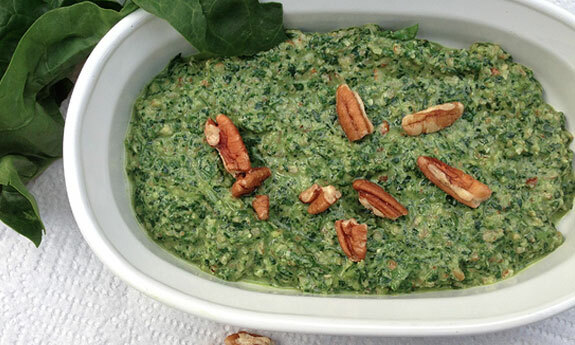 You’ll still taste the spinach in this, even with basil, as they’re used in equal amounts. 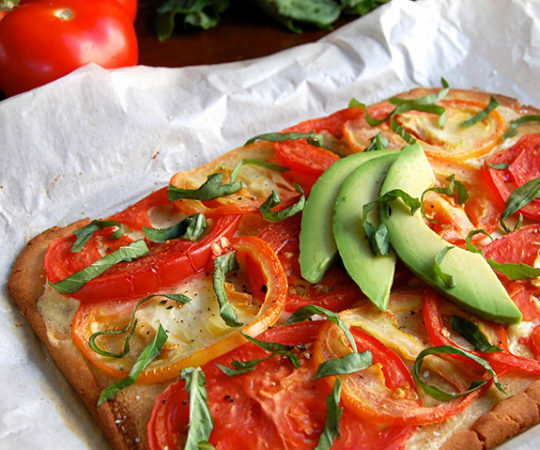 Adding this to a Paleo friendly pizza is a fantastic recommendation, and they also say it works great on sandwiches. 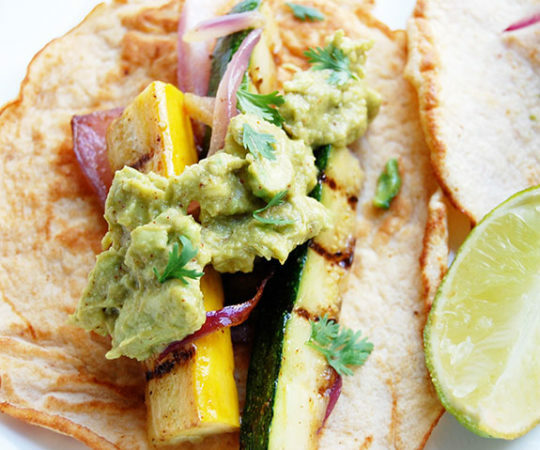 There’s so much to explore when you start eating Paleo, there’s no reason to ever go hungry. Arugula is a vegetable that you’re going to want to familiarize yourself with on Paleo because it will help you meet your vegetable needs. The recipe creator lists off some reasons why you should be eating more arugula. One big reason for Paleo followers is that you want to start adding more vegetables into your daily routine, and you want to have a wide array of vegetables to choose from. There are plenty of vitamins and minerals in arugula, and it brings with it its own flavor that you can’t really replicate with other greens. Give it a shot and see how you like it and decide if you want to use it more often. Kale has been getting a big spotlight in recent years, and for good reason. It’s loaded with vitamins and minerals, as well as fiber. Subbing out basil with kale is a way to give your pesto a big kick in the nutrition department. Joining kale is another superfood, almonds, standing in for pine nuts and providing protein and healthy fats to the pesto, as well as additional fiber. This really is a powerhouse pesto, and something you can feel good about eating. 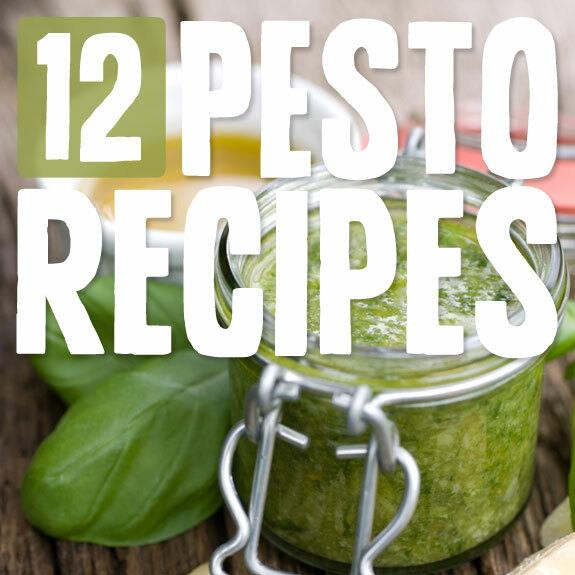 There’s also basil used in this, so it will taste like pesto, but it is infused with plenty of healthy properties you simply don’t get in a traditional pesto. Sun-dried tomatoes have such a unique taste that they’re often added to salads and other dishes for an instant flavor upgrade. Here they’ve been used to make a pesto that is sure to leave a lasting memory. It gives this pesto an amazing color, and combines well with basil and garlic so that you’re getting a sort of pesto hybrid of traditional and new in the same creation. 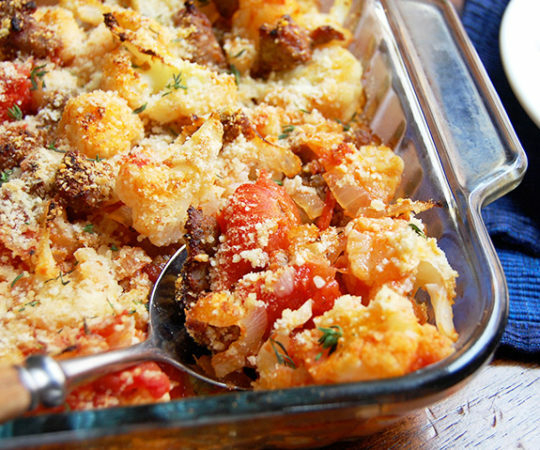 This would go best with pasta, or on top of a chicken breast. Sun-dried tomatoes provide plenty of lycopene so you’ll be getting the healthy benefits of that, including anti-cancer properties and heart disease prevention. Making pesto from broccoli is genius because you’re getting the benefits that broccoli has, but in pesto form with plenty of flavor. Basil does have some nutrients to it, but not as many as broccoli, and not as much fiber. They’re using basil in this, so the flavor will be basil, but the nutrition will come mostly from the broccoli. The broccoli also gives this a different consistency than normal pesto, it’s thicker than what you’ll usually see. They aren’t using any nuts in this, so it’s a great recipe to follow if you don’t want any crunch to your pesto. Check out this recipe they’re calling pesto magic and see what they’ve done to make it magical. The magical part is really the flexibility they allow in this, letting you choose the herbs you want to use as the base of your pesto, and then giving you several directions to go to make this one-of-a-kind. You can give it a rosemary hazel flavor, or cilantro ginger, or use different herbs to make it taste just the way you want it to. With this one recipe you can easily come up with four new creations and more if you start experimenting with ingredients you love. Walnuts lend an extra nutty taste above and beyond what pine nuts traditionally add to pesto. They also bring healthy fats to the table and this pesto recipe promises to keep things easy for you. The walnuts are the star attraction here, with most of the other ingredients conforming to a traditional pesto recipe. 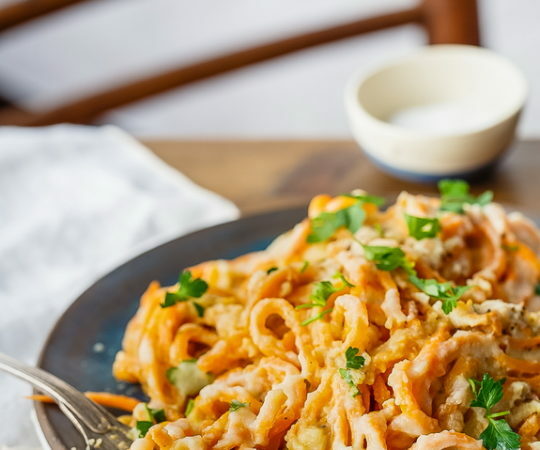 Leave out the parmesan if you’re so inclined, although many Paleo followers allow for it since it doesn’t contain as much dairy as the softer cheese and is digested more easily.